I am probably the last person to jump on the band wagon of RiRi Woo. Let me be honest I am not much into bright bold lipsticks. Have always been a lover of MLBB shades which are the ones I prefer to wear on everyday basis. 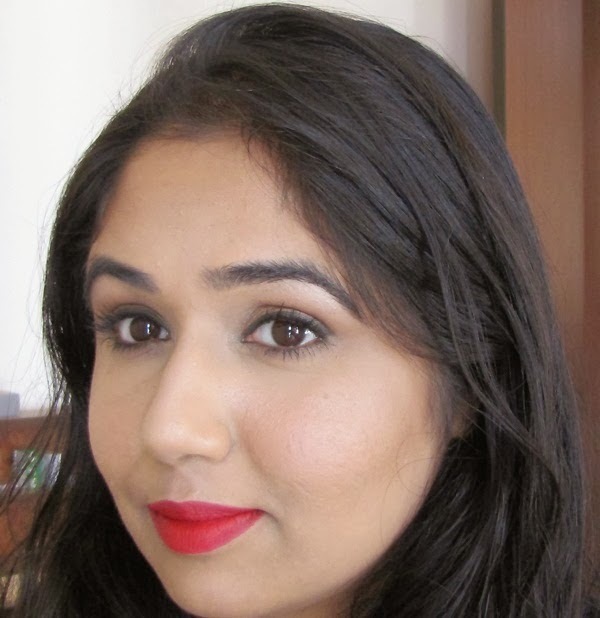 But every girl needs a red lipstick in her vanity...correction...every girl needs THE PERFECT RED lipstick in her vanity and MAC RiRi Woo is most undoubtedly the perfect red lipstick for everyone skin tone! MAC RiRi Woo is a limited edition lipstick from Rihana's collection and belongs to retro matte range. Its inspired by the cult favorite Ruby Woo and by the swatches I have seen online both are extremely similar, only difference being RiRi Woo looks a touch darker and deeper. MAC retro matte range lipsticks are extremely pigmented and long lasting on lips and RiRi Woo is no different! The pigmentation is fantastic and it literally stays on forever until you remove with a good makeup remover even though I find it leaves behind a slight red stain on the lips. I have had this lipstick for literally 8+ hours and it did not budge at all even with full meals in between! It feels very comfortable and light weight on lips. It does not dry out my lips too much but it does feel a tad bit drying after 3 hours of wear. Even though it can be a bit drying it does not settle into fine lines which usually happens with matte lipsticks. Red lipsticks are tricky to wear and hence its important to line your lips with a matching lip liner, this will not only stop the lipstick from bleeding but will also increase the staying power. If you have extremely dry lips make sure to exfoliate your lips and use a chapstick or lip balm before applying the lipstick. Overall I would definitely recommend MAC RiRi Woo to everyone but if you already have Ruby Woo this is not a must have. Wow it looks amazing on you! Lovely shade! so wanna grab this! it looks amazing on you Parita!! 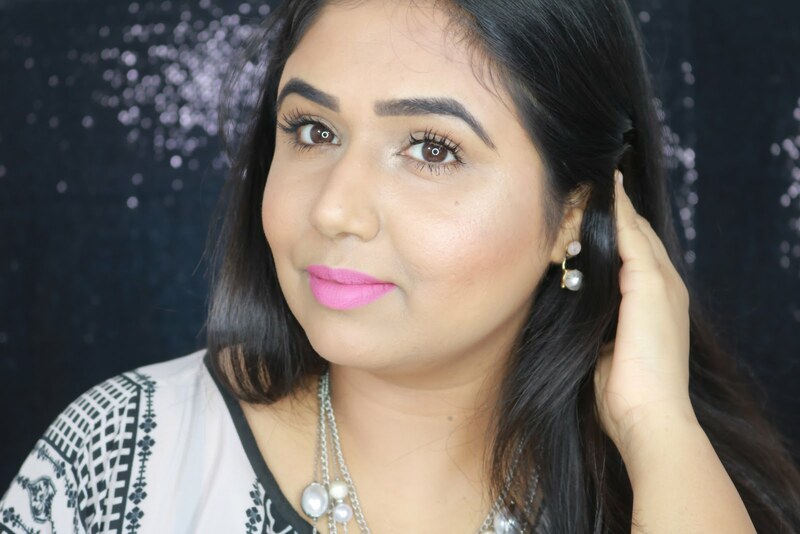 I am lusting after this lippie and your FOTD tempts me to get it ASAP!! this looks amazing on u! You know I am a scaredy cat when it comes to matte lip colours! Supria I like light weight matte textures a lot..perfect for office...i hate glossy textures hence no lip gloss for me!